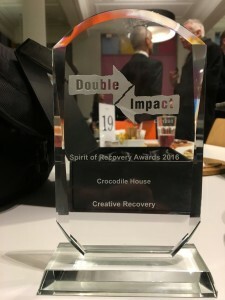 Double Impact held it’s third Spirit of Recovery Awards on 27th January which celebrates the incredible work that goes on in services and local communities around Nottinghamshire. As usual Crocodile House went along to photograph the event and capture all the lucky winners. 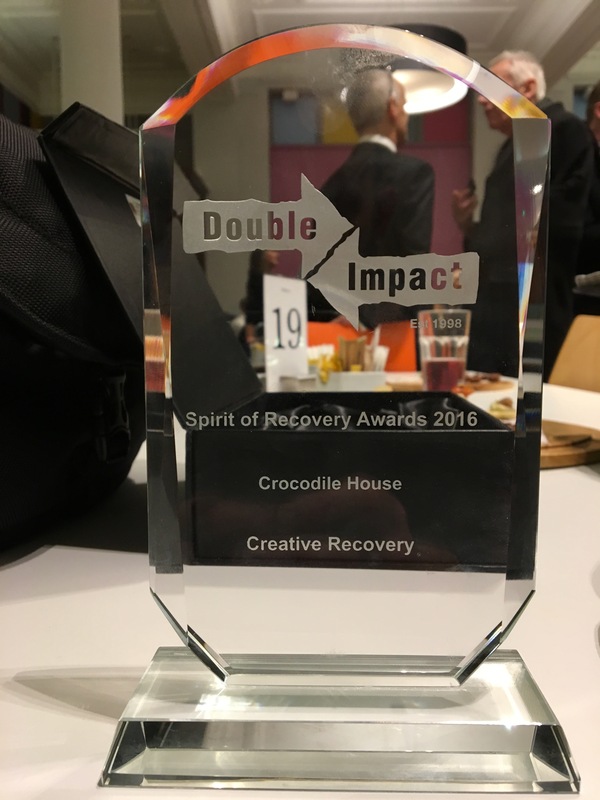 Unbeknown to us it just so happened that we were one of the lucky winners, in the category of Creative Recovery. We really enjoy all the work we do for Double Impact and we’re constantly meeting remarkable people with inspiring recovery stories to tell. So to win an award for our work is fantastic.